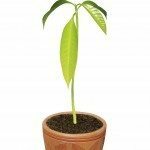 Can a dwarf mango tree be espaliated? We have espaliated a plum tree and it has done well. We did have a normal mango tree but it did not survive, so we are wanting to try a dwarf mango and wondered whether it would cope with being espaliated. You should be able to espaliate a Mango, though they will need constant pruning and they have a deep root structure.